Times are always changing and technology especially seems to be evolving at a rate of knots. 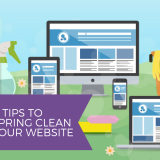 When considering a website design just a few years ago we had to be very careful not to overload with too many images as the site would take so long to download onto the computers of those viewing them. Mobile and tablet-friendly views were unheard of not long ago but now everyone expects to have a great viewing experience even on a tiny screen – and we can now deliver that to them! 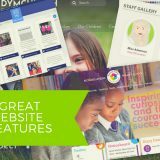 These advances have allowed website design to move along with the times and we can offer a huge range of choices and bespoke options for schools to tailor their website with as much creative flair as their hearts desire. Good school websites are so visually pleasing that they draw you in and also convey the personality of a school through the screen. In years gone by we might have shied away from very long and graphic heavy websites but now it is possible to have rich images and multi panel home pages without concerns of images not loading. This enables sites to all have their own unique personality. Image galleries showing full screen images one after another allow schools to make lots of first impressions without visitors even leaving the homepage. 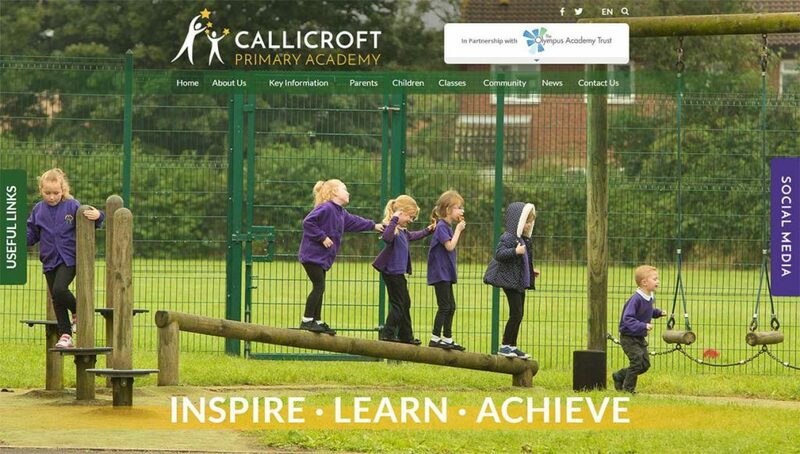 Like this website for Callicroft Primary Academy. ‘First impressions last’ as they say – so what does your school website say about you on the homepage? Does your school personality ‘pop’ from the screen? Maybe you want to get across the breadth of your curriculum offering like Hounsdown School. Or show your key values such as the homepage images for Rachel McMillan Nursery School and Children’s Centre who clearly love a bit of messy learning! Whatever your key values and foci are you can ensure your school website gets all of this across with your imagery across your site. ‘A picture paints a thousand words’ after all. And if you want to go that extra step further, we can even create a full screen background video home page to provide a really amazing first impression such as the Cottesmore School website. Of course we cannot stop at the homepage when making a really good school website. 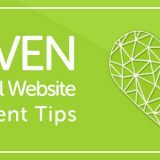 So once you have your first impressions sorted have a think about what the key information is that people need from your site. Consult with all members of your school community. 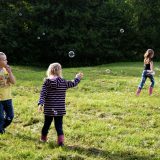 What do parents find useful? What do pupils want to see or what useful links do they need from home? 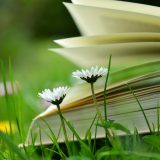 Can prospective parents find all the information they need to both fall in love with the school and also arrange a visit or order a prospectus? Clear and easy navigation is crucial to ensure no-one leaves your site feeling lost. If you are not sure how easy yours is try asking a parent to sit with you at a computer and see if they can easily navigate to key information such as your Ofsted report, policies, or curriculum and assessment pages. 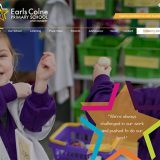 If you want some inspiration for your school website have a look through our bespoke school website portfolios and we also have some template designs ready to go if you want to pick something we know works for so many of our schools. You can also take a look at our optional extras such as the social media wall, curriculum pop-ups, or background video. 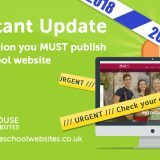 And make sure you look at Our Best School Websites of 2018. 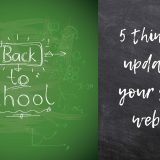 As we start a new year would your school benefit from a new school website design from us, or simply an update, or even some support getting that navigation sorted? 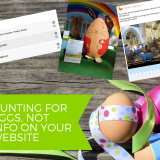 Get in touch to see how we can help you to leave every website visitor with a smile on their face and a lasting impression of your school community. Previous story How will your school tackle the Activity Passport?